I make absolutely no apologies for clearly stating that my favourite comedy series of all time is the classic and wonderful “Steptoe And Son”. 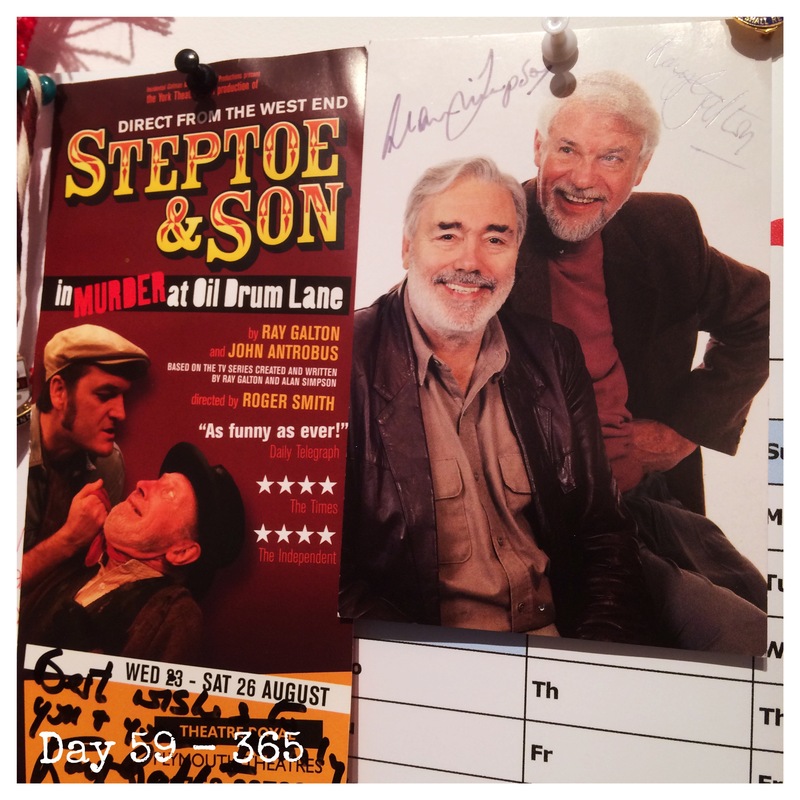 Today’s image in my ongoing project is of a photo signed by Alan Simpson and Ray Galton. For those unaware who these two then let me tell you that they are comedy geniuses. They are the writers behind “Steptoe And Son” and many more fabulous British comedies including working with Tony Hancock. They met in 1948 whilst recovering from tuberculosis and worked together for the next thirty years. I was lucky enough to see a new stage play written by Galton and John Antrobus which moved me to tears. I can’t really explain why it did, it was just magnificent and brought back childhood memories of listening to “Steptoe And Son” on the radio. I took the liberty of writing to their agent to express my delight and thanks for the play and to ask for an autograph. It is one of my most cherished possessions.